Dr. Thomas Ray Cherry, Jr.
Dr. Cherry was born and raised in Florence, SC. He attended college at Francis Marion University in Florence, SC where he obtained his degree in Biology with a minor in Chemistry. He then went on to study dentistry at the Medical University of South Carolina in Charleston, SC and has been seeing and treating patients since 2005. Dr. Cherry graduated with honors as one of the top students in his class and was a member of the Psi Omega dental fraternity at MUSC. Upon graduation, he received the prestigious South Carolina Dental Association Award for academic and clinical excellence, which is an award given to only one student in each graduating class, as well as an award for outstanding accomplishments in prosthodontics. He has had the pleasure of helping and treating patients all across the state of SC since graduating dental school and enjoys making a difference in the lives of others. 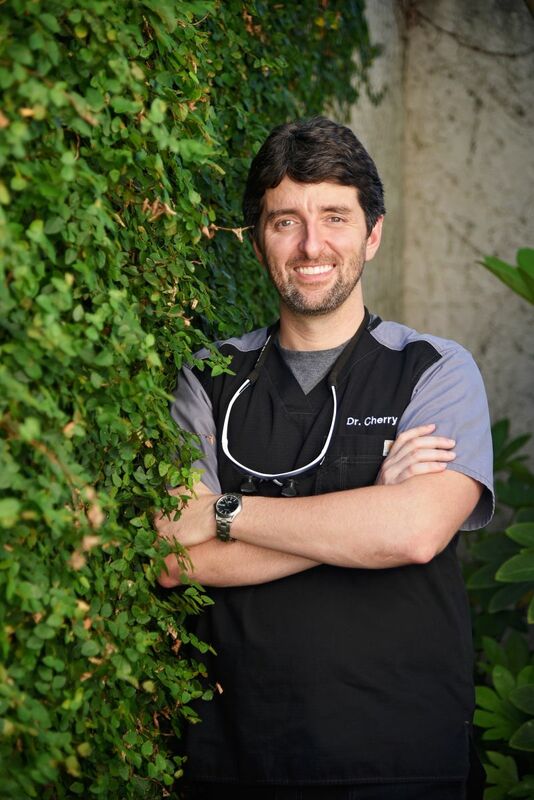 Dr. Cherry is a member of the American Dental Association, the South Carolina Dental Association, the Florence County Dental Society and Study Club, and the MUSC alumni association. He has received extensive continuing education with an emphasis in placing and restoring implants and performing root canals. He is committed to learning new treatment options and technological advances in dentistry so he can provide the best treatment for his patients. Dr. Cherry is very excited to be back in his hometown of Florence, SC and provide dental care to members of his hometown community. He enjoys spending time with his family and pup Baxter, traveling, all things cars, and of course practicing dentistry.